Calling all yoga instructors with a desire to support an underserved population! Enhance your teaching and earn continuing education credits through a weekend training this fall that explores how to support older students and offer classes specific to seniors. What: Our Yoga for Seniors teacher training qualifies for 12 hours of continuing education credit through Yoga Alliance. Participants are required to have completed a 200-hour teacher certification or receive approval prior to registering. Teachers will learn not only how to incorporate these tools into classes which are specific to seniors, but also how to teach with confidence when seniors attend all-ages classes. 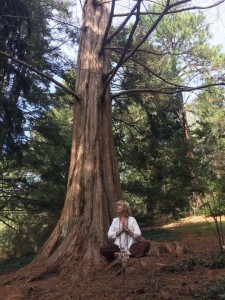 With more than 2,500 hours of teaching experience, including extensive work with seniors and therapeutic yoga, Wendy offers a unique and comprehensive training to yoga instructors and those who want to learn more about the changes which occur during this part of our life journey. You will gain a clearer understanding of how to create a healing, safe environment for those 50 and older to connect with their bodies and breath, modifying for individual needs. *Early registration is strongly advised. Limited scholarships are available.